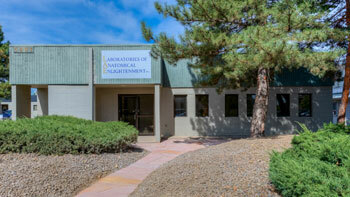 Laboratories of Anatomical Enlightenment has a brand new location in Boulder Colorado! Our new facility spans 4000 square feet providing locker rooms, conference room, break room and a modern dissection laboratory. Being located in the city of Boulder makes for an enjoyable experience before and after classes. Provided on our web-site is information to assist you in traveling to Boulder from the airport to a hotel, a grocery store, a few main attractions in town, and to Laboratories of Anatomical Enlightenment’s location: 5401 Western Avenue, Boulder, Colorado, 80301. Laboratories of Anatomical Enlightenment Inc.